2019 Utility Allowances are the same as the existing 2018 below. The 2019 Income limits have not been released by HUD yet. 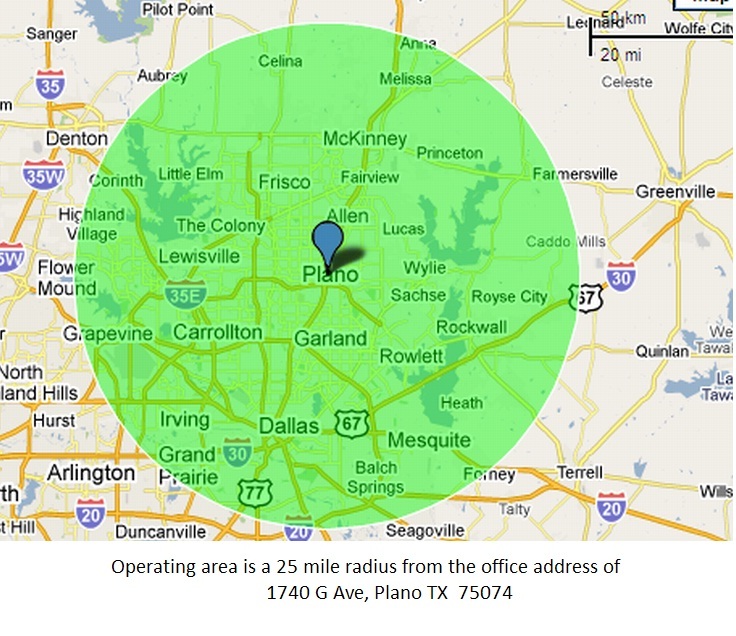 Plano Housing Authority operates in a 25 mile radius of the office. Click the map below for a larger version. A: HUD SAFMR This link gives a description of what this HUD program accomplishes. All Housing Authorities in the Dallas TX Metropolitan area are included in this list. The average housing authority has a single payment standard for each voucher size. Housing Authorities participating in this project have a payment standard for each zip code. Since a voucher holder needs to choose their property first, the housing authority cannot tell the voucher holder how much the voucher will subsidize up front. Click the Payment Standards link above for a chart showing all of the payment standards and zip codes administered by Plano Housing Authority. Q: Is there any updated information on the SAFMR process from HUD?